There are so many awesome things about Southern California that I love. 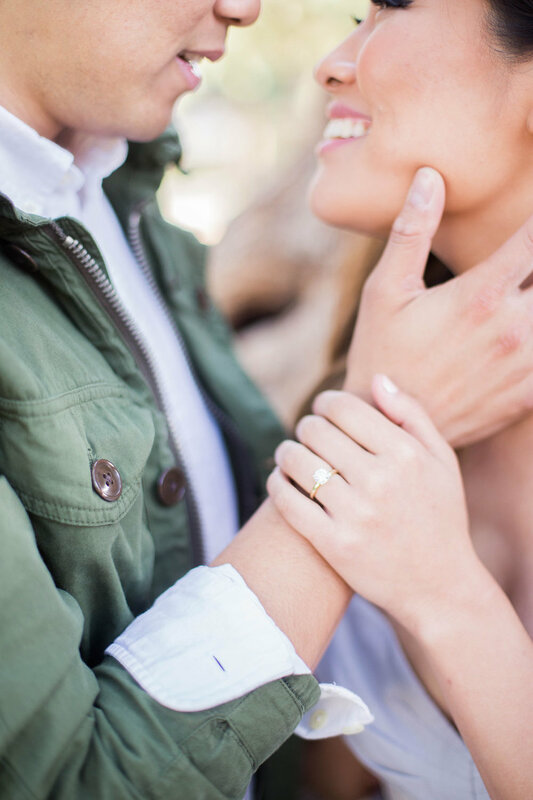 To name a few, we have Disneyland, delicious food (especially In-N-Out), the beach, great weather, and of course - abundant sunshine, pretty much year round, which makes engagement shoots like this one so very pretty! A big thank you to Sally Pinera for sharing the most romantic, soft, and breathtaking photos of my dear friends Kelly and Nixon, and for perfectly taking advantage of our unlimited sunshine here in California and making it look so darn good. Kelly and Nixon will be tying the knot in just a little over a month at the beautiful Grand Long Beach you can bet I am super excited for this one! To top it all off, these beautiful photos have also been featured on Style Me Pretty (yay! ), check out the feature by clicking here, and scroll down to see my favorite photos from this shoot, and there are quite a few!